Johannesburg, November 9, 2018: The Africa Investment Forum held from November 7 – 9, 2018 at the Sandton City Convention Centre. The Africa Investment Forum served as an implementation platform to co-finance and de-risk projects, which brought together Heads of State, Development Finance Institutions (DFIs), Multilateral Development Banks, Global and Regional Investors, Multinational Project Sponsors and the Private Sector CEOs to help bridge Africa’s Investment Financing gap. It also created a platform where business memorandums were signed. About US $47 billion worth of multilateral agreement were discussed and anticipated for project commencement, while investment interest was secured for 49 projects worth US $38.7 billion. 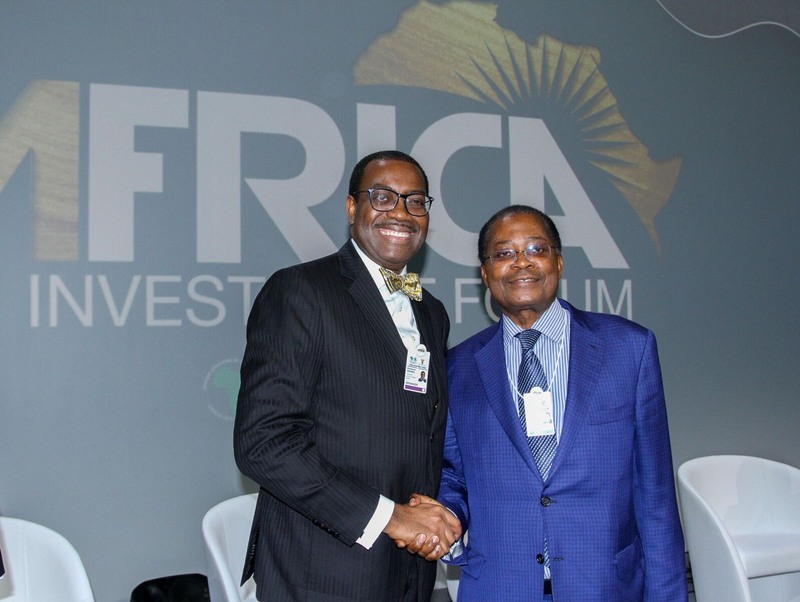 Dr. Akinwumi Adesina, President of African Development Bank, during the closing planery on Friday 9 th November, 2018 recognized and acknowledged Mr. Samuel Dossou-Aworet, President and Chairman of the Board of the African Business Roundtable as an important partner and thanked him for his support to the Africa Investment Forum as a sponsor. ABR’s participation as a strategic Partner gave the institution high visibility and provided its members access to all sessions which they leveraged upon for effective networking. The Forum provided members access to various opportunities to grow their businesses and expand their foot prints in Africa and around the globe. ABR submitted a pipeline of 5 projects from members to the Africa Investment Forum platform, all of which were shortlisted for investor/financier consideration. One of the projects made it to the ‘Board Room’ with several ‘Expression of Interests’ from renowned financiers and investors. Mr. Samuel Dossou-Aworet joined other distinguished panelist at the session themed “Africa: An Investor’s Destination” a session in partnership with European Commission, where he spoke on expectations from the private sector regarding the current state of the investment climate and possible improvements.